After we moved out of Vancouver, we spent a week traveling through Oregon. 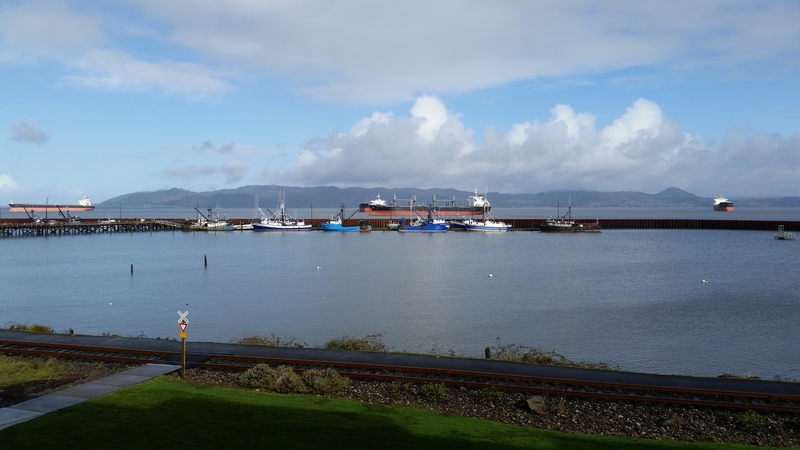 We drove to our first stop, Astoria, home of such major motion picture locations as “The Goonies.” If you ever find yourself in this coastal city, I recommend getting a riverfront room at The Hampton Inn. You’ll have a lovely view of the Columbia River and an easy walk to downtown. Astoria has a charming small town feel, with many stately homes dotting its hillsides. 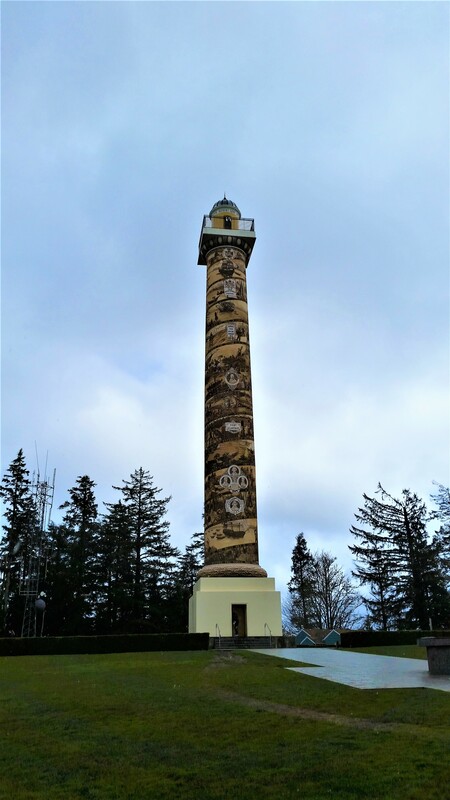 Climb one hill high enough and you’ll reach the Astoria Column, known as the “crowning monument” among 12 historical markers located between St. Paul, Minnesota, and Astoria, Oregon. The column commemorates Astoria’s early explorers—Captains Robert Gray, William Clark and Meriwether Lewis. You can take the stairs inside the column to the top for a bird’s-eye view of the coast. For food and craft beer, try Fort George Brewery + Public House. 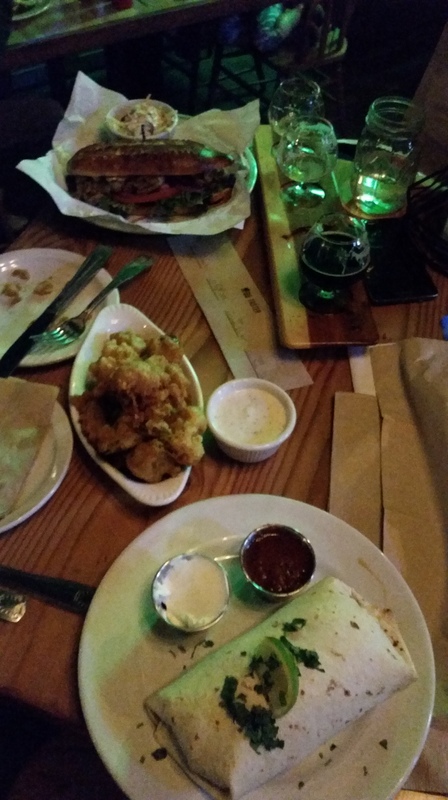 I was quite happy with my burrito and the stout (my favorite type of beer) from our tasting flight the night we stayed in town. It’s a two-floor eatery/bar with a lively scene and live music. You’ll see a good mix of folks, from young singles to families hanging out. For brunch, I really liked Pig ‘N Pancake, a diner started by a married couple in 1961 that has since expanded to several locations in Oregon. I ordered buckwheat pancakes with a dungeness crab and cheese omelette. The buckwheat sat heavily, and I didn’t need to order the omelette to get full, but indulge I did. Receive post updates via email.